As we all know, WordPress is the most successful content management system available currently. There are two major factors that keep WordPress better than other content management systems. One is its huge community. Another is thousands of plugins that offer seamless website performance. Here we have discussed the 15 most essential WordPress plugin for any business website. These plugins will help you improve WordPress website performance and online conversions. Everybody wants to rank higher in the search engine result pages. Your website has to be optimized for that. Yoast SEO is one of the most used Plugins among the thousands of plugins available online. It is the best SEO plugin available in the business. It not only helps you write better content but it also helps you creating Meta tags and link elements. The best part of the plugin is that it provides the XML Sitemap functionality. So, you don’t need any other website optimization plugin if you have Yoast SEO installed. When we are discussing Search Engine Optimization, Website loading speed is the prime factor. Users love the websites that load fast (under 2 seconds). W3 Total Cache is the WordPress Performance Optimization plugin. 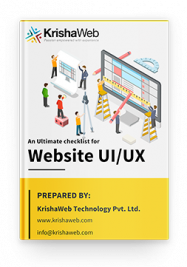 It is specially designed to improve website user experience and loading speed. It helps you increase server performance by reducing the downloading time. It also offers a transparent content delivery network (CDN) integration. Contact Form is the bridge between the business and the users. Contact Form 7 is the simplest yet flexible contact form plugin. It lets you easily create a contact form in WordPress website. You can manage many contact forms using Contact Form 7. It also lets you customize the form and email content through simple markup text. Contact Form 7 supports Ajax-powered submitting, CAPTCHA and Akismet spam filtering etc. There are more than 1.86 billion websites on the internet. Around 1% of these something like 18,500,000 are infected with malware at a given time each week; while the average website is attacked 44 times every day (Source: www.securityweek.com). Website security has been the biggest challenge for webmasters. It is impossible to make the website 100% secure. But plugins like Wordfence security can provide enterprise-level security to your WordPress website. It has the auto schedule scanning option and keeps track of everything going on the website. Wordfence security immediately intimates you whenever anything shady takes place on the website. The second most important thing after having robust website security is having a proper backup of the website. Backups are crucial. Plugins like Updraft Plus has made the WordPress backup and restoration easy. It offers you complete manual or scheduled backup options. And lets you store the backup on the different location. You can store the backup on Google Drive, Dropbox, FTP, SFTP, Amazon S3, emails or any other options. Restoring website from the Updraft Plus backup is also simple. 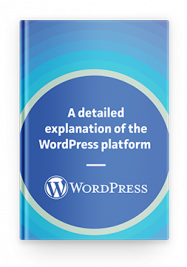 WordPress host the majority of online blogs. Comments play an important role in the success of any blog. Disqus Comment System plugin is the best replacement of the WordPress’ default commenting system. Disqus makes the commenting easier and more interactive. It offers the threaded comments and replies along with the Subscribe and RSS option. Disqus also provides powerful moderation and spam filtering. It is among the best comments moderation tools available online. “Notify Subscribers” plugin gives you an option to send the post notification to the subscribers. You can send the customized email template as a notification using the different post fields. This Plugin also provides you a shortcode to create a custom email template and it allows you to display a custom error message. “Notify Subscribers” gives you all details about the subscribers and lets you manage that information. Plugin’s setting theme will be changed as per theme color change and supports multiple languages. Also, Offers widget as well as a shortcode. You can enable and disable notification for the custom and standard post types. It lets you export user details via CSV and PDF. It allows you to MailChimp Integration using API Key and List ID. Install today! Taking backups is a fundamental step towards securing a WordPress website. With BlogVault you get reliable backup and easy restoration facilities. It offers daily automatic backups that you can schedule or even take on-demand backup whenever needed. It lets you store backups off-site and offers access to backups for 365 days, along with one-click restoration feature. There are options for real-time backups for WooCommerce sites and incremental backups for large websites. BlogVault comes with a built-in Staging and Merging feature for testing changes before making them on the live site. With BlogVault, you get backups that you can count on. Envira Gallery is probably the most powerful and easy-to-use WordPress gallery plugin. You can always create galleries in WP sites without using any plugins. But plugin like Envira Gallery helps you to create beautiful and responsive galleries. It has easy to use drag and drop gallery builder for photo and video galleries. You can create multiple galleries using Envira Gallery and place them anywhere on the site. It is the best WordPress Gallery Building plugin having easy to use interface and finest social media integration. When it comes to securing your site, there is no single silver bullet that’ll take care of all security problems. Rather one take various steps to protect a WordPress site. MalCare security service offers a comprehensive set of features that help secure a site by doing various things. It scans your site daily, cleans new and complex malware, and protects websites using a firewall. It facilitates updating websites and hardening them. It even offers a premium white-label solution along with an ability to generate beautiful and detailed client reports. When it comes to site security, MalCare offers complete peace of mind. There are hundreds of social sharing plugins available for the WordPress websites. But if you are looking for the one that perfectly supports the big array of social networks, the Floating Social Bar is the one you need. It is the must-have plugin for any WordPress website that adds a floating social share bar in the content. It is slim, fast, easy-to-use and supports all major social media networks. You can add social sharing buttons for social networks like Twitter, Facebook, Google+, LinkedIn, Pinterest and many others using Floating Social Bar. WP-Optimize is an important database cleanup and optimization tool. The best thing about it is that it doesn’t need PhpMyAdmin to optimize the database tables. It cleans up all unnecessary and irrelevant data from the database. It lets you clean stuff like auto drafts, unapproved or spam comments and all other unnecessary stuff that occupies the database space without adding value to the website. You can also set up automatic clean and get notified via email. It is the best plugin to optimize your WP database. WooCommerce is the most powerful, extendable and robust eCommerce plugin for WordPress. It is a free plugin that gives you the total control over your shop. WooCommerce currently powers more than 30% of the online store. It lets you sell anything, anywhere and offers extensive payment options. It accepts all major credit cards, PayPal, BACS and Cash on delivery. Above all, it gives you a detailed report of your selling and customer interaction. 83% of the online customer needs some kind of online support while making a purchase. Zendesk Live Chat is the fastest way to engage with your website visitors. It is a better way to chat with the website visitors to give them real-time customer support. Zendesk Chat for WordPress is mobile optimized and offers proactive chat. Zendesk is the most loved live chat support provider having more than 150,000 businesses registered for the service. It also offers the advanced analytics to observe visitor flow and usage pattern. Jetpack is one of the most popular must have the plugin for any business website. It offers you a range of features from security to user experience optimization. Basically, it is the collection of the amazing features of the different plugins. This free of cost plugin offers you social sharing feature, contact form, CDN service, email subscription service and lots of other services. Jetpack is an open source plugin that offers dedicated support to the users. So, these are 15 plugins that can help you enhance your WordPress website performance. You might be using some of these plugins listed above. If not, this is the right time to equip your website with the best plugins available on the web. What are the other WordPress plugins you use? Share your ideas and recommendations in the comment box below.